Christmas is almost here, and another year is coming to an end. We've compiled some of our top blog posts for 2014, from athlete interviews and race reports to in-depth product reviews. Happy holidays from everyone at ATC! 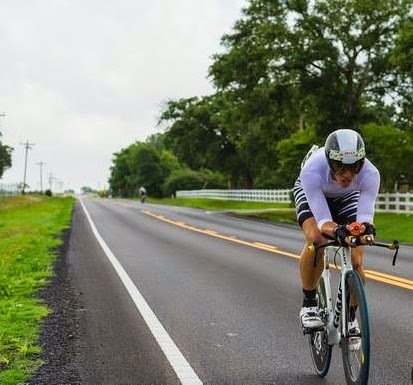 From "Fat Kid" to State TT Champion - One of our top-performing posts of all time, this article profiles Austin athlete Nate Sheetz and his evolution from 400 pounds to cat 2 bike racer. The Mean Maximal Power Chart - Taking previous post Power Meters Explained a little further and discussing MMP and its uses. Kona Ironman Bike Stats - Jack Mott does the math on historical IM Hawaii bike times and how much of a difference new aero equipment makes. Was Dave Scott just as fast as Sebastian Kienle? You decide. 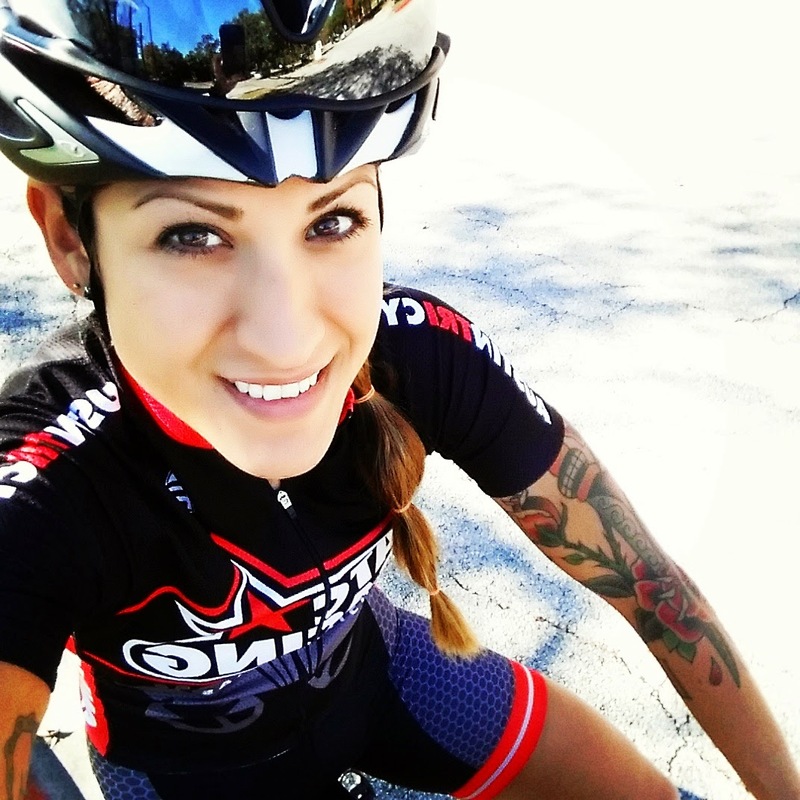 Cascade Cycling Classic Race Report - Kat Hunter's race report from the July 2014 Cascade Cycling Classic in Bend Oregon details her experience guest riding for pro team FCS Cycling at the six-day stage race and winning the final stage. 2014 Texas State Time Trial Champion Gear & Tech Specs - Jack Mott's detailed equipment overview of Kat's state TT setup and numbers. The New Cervelo P2 - A close look at Cervelo's successful new version of the P2. A Ride for Any Day of the Week, 2014 - This collection of group rides, organized by day of the week and difficulty, is a good starting point if you're looking for a ride in the Austin area. However, please check in with the listed ride organizers, as many have changed! All About Road Bike Tires - Though relatively new, this post has had a lot of views. Read about the importance of tire choice, rolling resistance, tubes, and tire pressure. New Orleans 70.3 Race Report - Elite triathlete Gray Skinner's race report from Ironman 70.3 New Orleans, where he finished first overall amateur. ATC staff practice what they preach—they’re triathletes, runners, roadies, cyclocrossers, mountain bikers, former or current professional athletes, or a little bit of everything. We asked our resident experts what they’d put under the tree, and they gave us their top picks, from inexpensive stocking stuffers to pie-in-the-sky dream gifts. Skratch Labs Feed Zone Portables Cookbooks, $24.95 - For triathletes tired of the same old pre-packaged gels and bars, this cookbook is a handy resource for easy-to-carry snacks. Recipe ideas range from griddle cakes and rice balls to paninis and two-bite pies. Xlab Torpedo System, $59.95 - No one likes having to reach down to the frame for water when in aero. The Xlab Torpedo puts your water right where your mouth already is. And with the convenient straw mechanism, you don't even have to take the bottle out of the cage. Plus...studies have shown that having a bottle between your aerobars is actually often MORE aero than not having one. Garmin 920XT, $449.99 - This is one of the best training tools for a triathlete, as it can toggle between all three disciplines (swimming, biking, and running), functions as a GPS watch and bike computer, and can sync to any ANT+ power meter. It’s all the training tools you need tied into one convenient device! Robert is one of ATC’s shop triathletes and sales staff, as well as a triathlon and running coach for Driven Performance Training. While completing his degree in exercise physiology, he competed four years for the Texas A&M Triathlon Team. Race highlights include 5th place Combined Mens'/Women's Team at the 2011 USAT Collegiate National Championship, 1st place Men's Team and Combined Score at the 2012-2014 South Midwest Collegiate Regional Championship, and 1st place Men's Team and Combined Score at the 2012-2014 South Midwest Collegiate Race Series. Blackburn Toolmanator 3 Multitool, $44.95 - Never be stranded again! This 17-function multitool has everything you need to help you help yourself next time your bike starts to act a fool far from civilization. Maxxis Ikon with Exo protection, $82.99 - These top-of-the-line tires are great for both racing and training. The low-profile tread is fast on the straights and the side knob has just enough bite so you can rail the corners. It's a great all-around tire for our Central Texas trails. 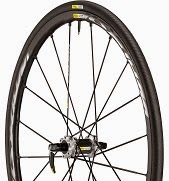 Mavic Ksyrium Pro Disc, $1,249 - Mavic’s new cyclocross/road disc wheel makes a great upgrade from your stock wheels. Lightweight and stiff, these sweet-looking wheels are also blessed with Mavic’s unparalleled durability. Set them up tubeless and never have to worry about flats again. 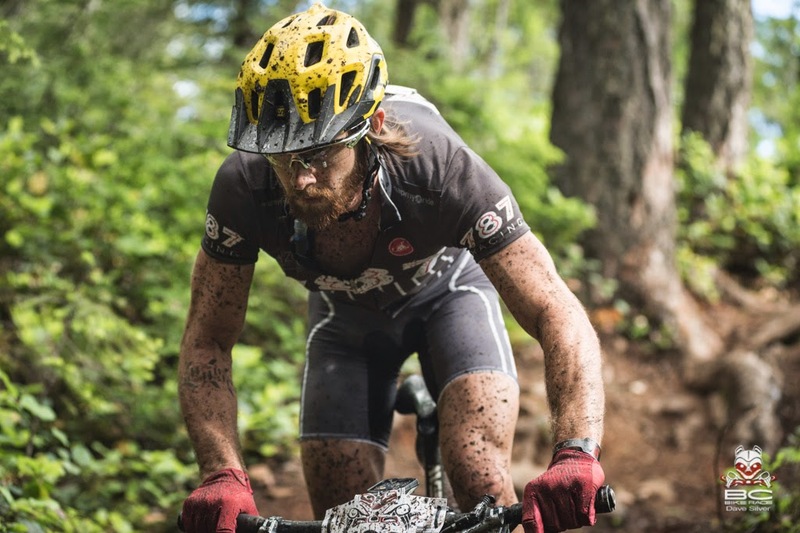 A pro mountain biker and cat 1 on the road, Tristan started racing bikes at age 5 and has worked at ATC as a mechanic since 2009. 2014 race highlights include a stage win at the BC Bike Rrace, 1st place pro enduro category at the Transylvania Epic Stage Race, and 1st place in the cat 1/2 field on the Gila Monster Stage at Tour of the Gila. 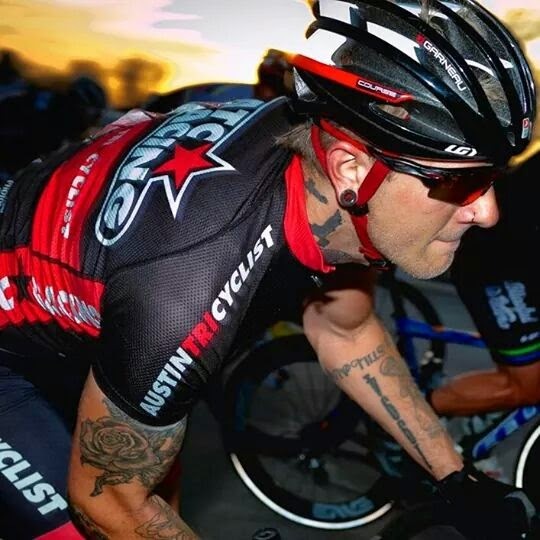 He was voted best all-around bike racer by TexasBikeRacing.com in 2014 and was Texas MTB champion in 2013 and 2014. Stocking Stuffers - TYR Tracer Goggles ($15.95) are ultra comfortable and easy to adjust. The Finis Agility Paddles ($19.95) are a great tool to fine tune your swim stroke—if your technique isn’t right, the paddles fall off. Swimmer-specific, salon-quality bath products from TriSwim ($11.50-15.95, available in store), including lotion, shampoo, conditioner, and body wash, help remove chlorine and chlorine odor. And for the fashion lover, the Speedo Flowered swim cap ($29.95) is always fun! Aqua Sphere Aqua Skin Shorty (women's, men’s), $124.95 - If your swimmer frequents Barton Springs or an unheated pool, this neoprene suit provides welcome warmth for practice swims. Missy has owned Austin Tri-Cyclist with her husband, Don, since 2001. A runner in college, she has competed as a multisport athlete for 25 years and has been a member of the ATC Racing women’s road cycling team since 2012. Missy started from scratch with swimming in her twenties and began formal lessons at 30. Though she’s now a very proficient swimmer and one of the first out of the water in her age group, her background makes her a knowledgeable and approachable resource for any level of swimmer, from beginner to master. Swiftwick Pursuit Socks, $16-20 - Winter in Texas: One day the weather is frightful, the next day it's not. Put some wool on your runner’s feet. Our favorite at ATC 360 is the Swiftwick Pursuit. Sustainable, soft, and moisture-wicking, Merino wool keeps your feet warmer on cold days and cooler on hot ones. Four lengths are available: zero, one, two, and four inches. Addaday Type C, $40 - Winter in in Austin means one thing—marathon season! Unfortunately, training miles can take their toll. Take five minutes before and after each run to work out the kinks with the Addaday Type C Roller. While it may look like a stick, it’s a 21st century precision-engineered achy leg weapon. Hoka Clifton (women’s, men’s), $129.95 - The smooth-riding, ultra-cushioned Hoka Clifton is also unbelievably lightweight. "If you want to take the feeling of running on grass with you to the concrete jungle," this is your shoe. 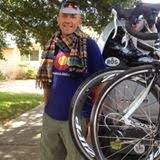 Chuck Duvall is the sales manager of "Boom town" running, located within each of our Austin Tri-Cyclist locations. Chuck completed his first Ironman race in Boulder, Colorado, this year and is looking to continue his multisport training and racing in Texas in 2015. Louis Garneau Tuscan Merino Socks, $14.99 - A good pair of wool socks goes a long way in keeping a rider comfortable on the bike. Wool is an incredible insulator and can retain up to 70% of its warmth when wet. Serfas CP-R3 Headlight/Tail light Combo, $90 - With the short winter days, a lightset like this is a must-have for any cyclist. It features a 305 lumen front light that will fully illuminate the road in front of you and a 35 lumen red LED tail light that is crazy bright. Both lights have four settings, including a flash. Zipp 404 Firecrest Carbon Clincher Wheelset (front, rear), $2,725 - The ultimate upgrade to a tri or road bike, this time-proven wheelset will benefit anyone from a weekend warrior to a top-level pro. 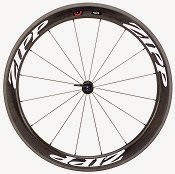 From Kona to the Tour De France, Zipp 404s have won too many races to count. They weigh in at only 1640 grams, with a 58mm deep full carbon rim and braking surface, 24mm rim width for increased tire air volume, and the stylish looks of both black and white decal options. 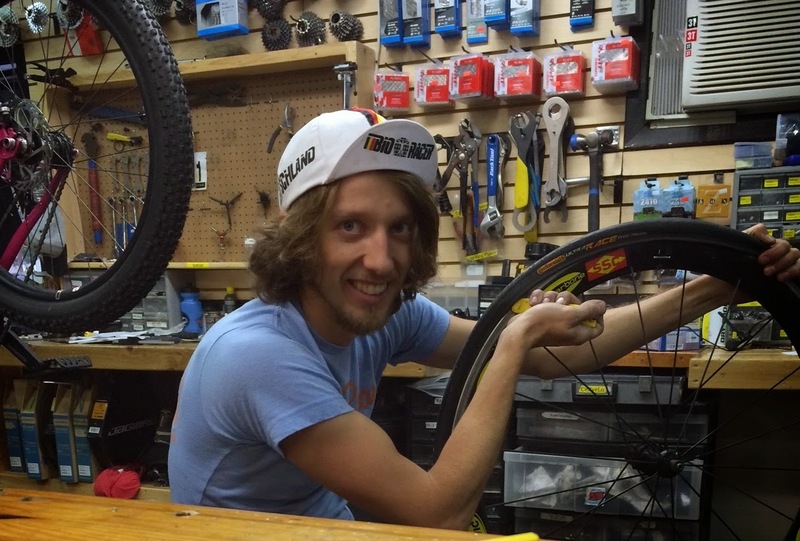 A cat 2 in both road and mountain biking, Brandon works in sales at ATC. He was raised in Yakima, Washington, (yes, like the racks) and has been cycling for 11 years, spending seven of those years pedicabbing and six years racing. Committed to being a lifelong bike commuter, he doesn't own a car by choice. Rock N Roll Extreme Chain Lube, $9.95 - Winter is here...and with it a lot of cold, rainy miles. With this long-lasting lube, keep your chain clean and your shifting crisp through all the rough riding ahead. Designed for wet and dirty conditions, the Extreme formula tests very fast too. 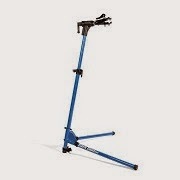 Park Tool PCS10 Home Repair Stand, $199.95 - This collapsible repair stand lets home mechanics service their bikes like the pros. Tackle bike washes, chain lubes, flat repairs, wheel swaps, and more without laying the precious baby on the ground. Avoid the holiday crowds, shop local, and get your athlete something he or she really wants and needs! Visit one of ATC’s retail locations on Barton Springs or in Davenport Village, or order online. Winter store hours: Monday-Friday 10a.m.-6p.m., Saturday 10:00a.m.-6p.m., Sunday noon-4p.m. The winter doldrums—it’s cold and dark outside, maybe even raining. There’s no race on the near horizon to get you motivated. Your once-impressive leg muscles are wasting away. Your suitcase of courage has been replaced by a suitcase of guilt. You can curl up on the couch like a very large, very grumpy cat to hibernate for the next two months...or you can put your bike and trainer in the car and make your way to ATC 360 in Davenport Village for the Winter Chill Spin Class. It’s free! Every Thursday at 6 p.m., join fellow fitness-seekers in ATC 360’s fit studio for a one-hour spin class led by ATC Racing’s Allison Atkinson. The atmosphere is fun and social, but also focused—you’re guaranteed to get in a good workout. Simple, classic intervals will keep your heart rate up, and the upbeat playlist will keep your legs moving. All fitness and experience levels are welcome, from recreational cyclists to veteran racers. It’s recommended to arrive 30 minutes early, especially if you might need some help getting set up. What you need: Bring your own bike, and your own trainer if you have one. ATC does have a number of trainers available, but these are first come, first served. You’ll also want to bring a towel, water bottles, and possibly a change of clothes. Sometimes the group goes to a restaurant together post-workout. Fun extras: Participants in the class get 20% off any trainer in stock—current models include the Blackburn Tech Mag 6 and Kinetic Cyclone. You can also request a free fit assessment and safety check. ATC staff will help out with minor mechanical issues like shifting, etc, at no charge. Again, arrive early! Allison has over 10 years experience as a group fitness instructor. Her rise in the ranks of Texas racing stemmed from years of teaching spin and strength classes. Now, with experience racing among the best women in the country, she brings power to the Texas peloton riding for Austin-based women's team ATC Racing. 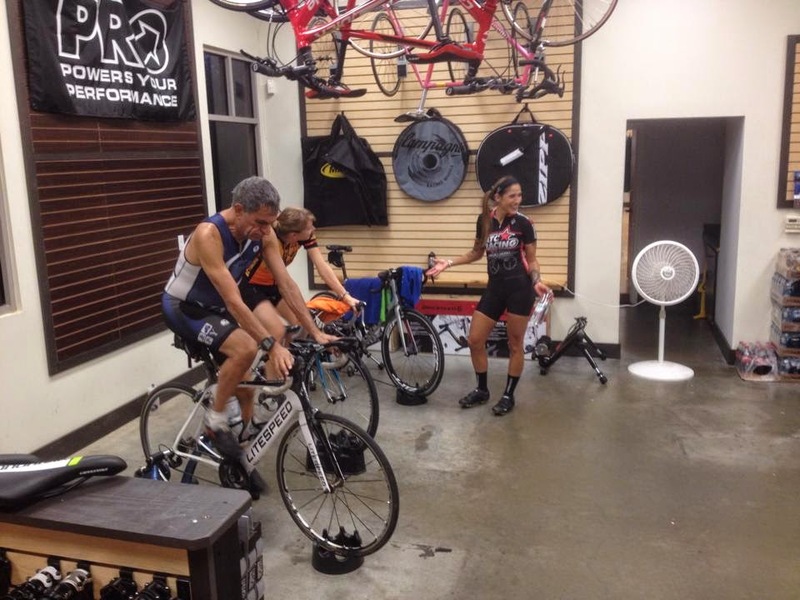 Allison works at Austin Tri-Cyclist and teaches at PureAustin Fitness, where her unorthadox teaching style has gained popularity among casual cyclists, triathletes, and bike racers alike. Check for spin class updates on ATC 360's Facebook page.